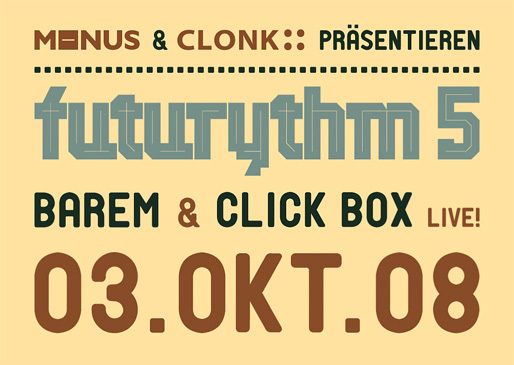 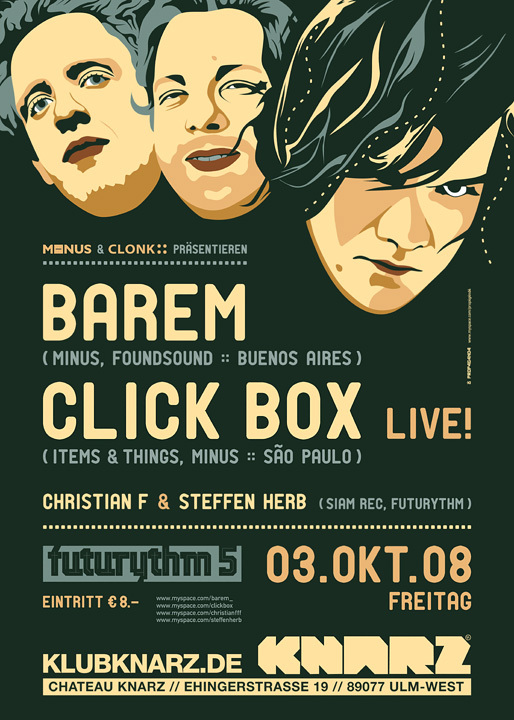 Description Promotional artwork for an electronic music event in Ulm (Germany). 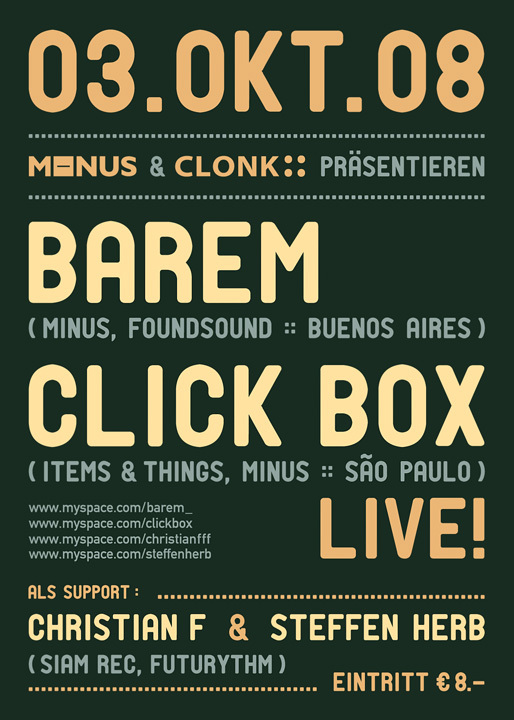 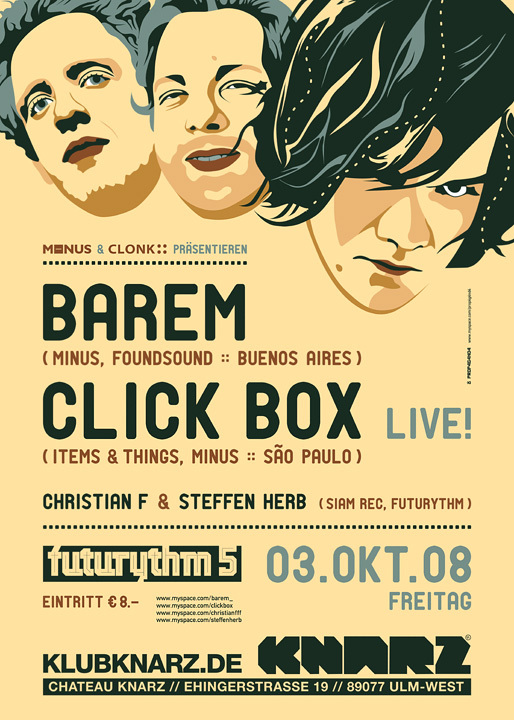 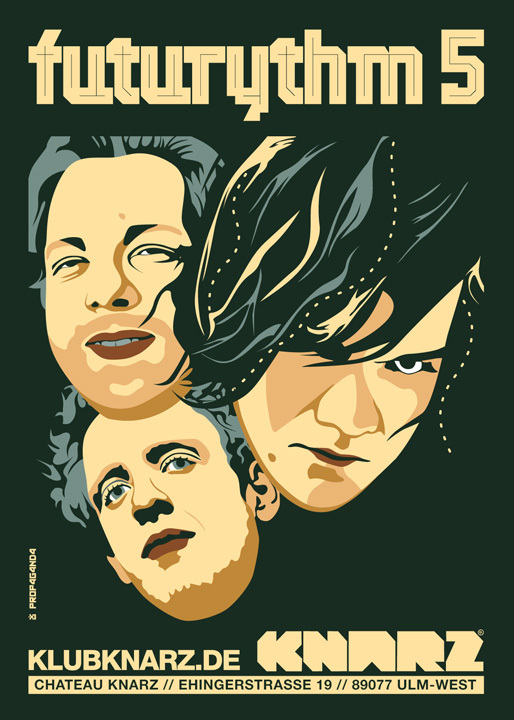 Guests: Barem (Minus :: Buenos Aires), Click Box (Minus :: São Paulo). 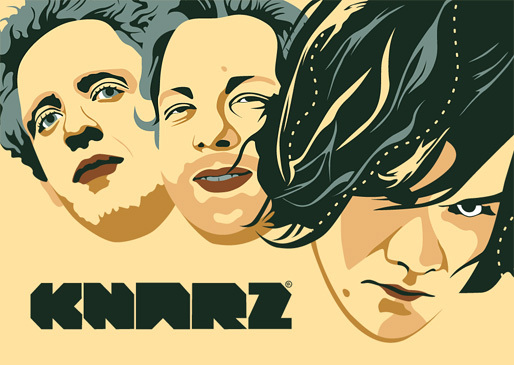 Artwork in dark & light versions.